St. Paul OKs big cartoon cats on Grand Ave. 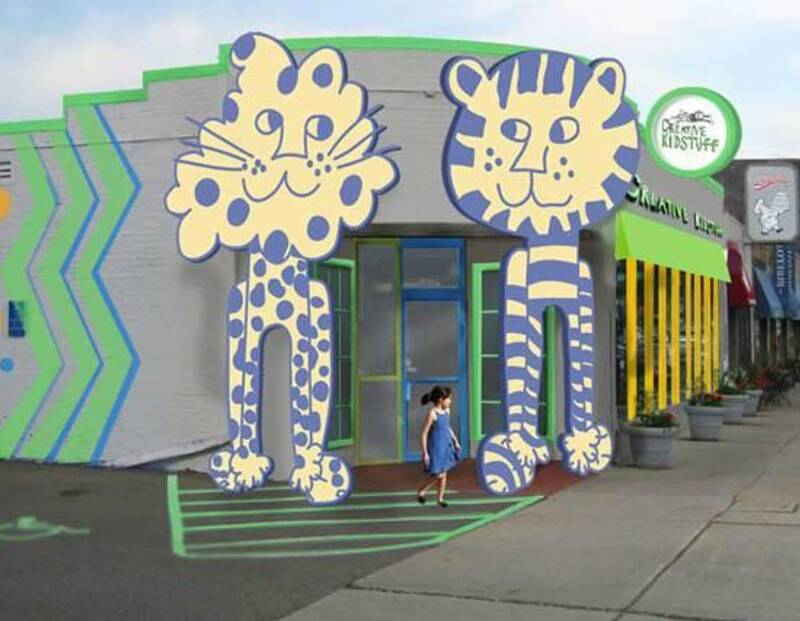 The St. Paul City Council has given a toy store permission to build two 18-foot-tall cartoon cats in front of its entrance. Creative Kidstuff needed a variance to build the sculptures because, at 225 square feet, they are nearly three times the size allowed for signs on Grand Avenue. City planning staff, a local neighborhood association and the Board of Zoning Appeals opposed the variance out of concern that it would set a precedent and detract from the character of the historic neighborhood. But Dave Thune, who represents the area on the City Council, said the lion and tiger images should count as artwork, not signage. "I think this actually does add to the character of the neighborhood," Thune said. "I just frankly find it kind of fun to walk between a lion and a tiger and not be eaten." The city of Minneapolis is also in the process of drawing the line between art and advertising. The City Council is considering whether to relax rules banning products from being pictured in murals.